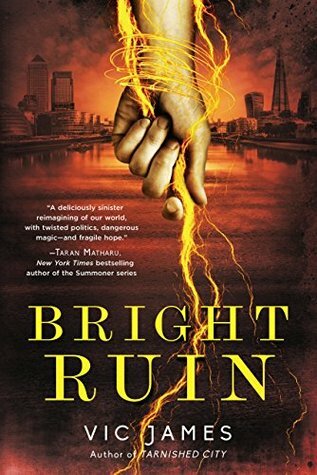 I’m currently reading Bright Ruin (Dark Gifts #3) by Vic James and I’m happy to says it’s living up to its predecessors. I recently finished The Cube (Guardian of the Present #1) by Melissa Faye. I’m attracted to time travel books like moths to a bug zapper. Which may send their consciousness to another realm, leaving the shell of their bodies on Earth. You never know. In the future, time travelers are a reality. In the present, time travelers are a real pain. June Moore is a normal teenager by day and a vigilante hero by night. She guards our present day from time travelers from the future. Law enforcement can’t keep up with their futuristic abilities. But June has an edge. Her smarts and strength help her fight off these visitors before they can take advantage of our world. She sends those time travelers back where they belong…whether they like it or not. Now it’s the night before her freshman year of college, and June finds herself face-to-face with a traveler. His motives are unclear, and he’s holding a strange cube. She has to know what’s inside. An extra second of hesitation allows the man to escape. June’s left alone. With the box. And with regrets…She should have sent the guy straight home. If June doesn’t capture the time traveler soon he could really mess up the future for everyone. Who knows what kind of trouble he may cause? And if the cube opens…it might cause even more trouble. Something that would hit closer to home. To save the future of those close to her, June must hunt the escaped traveler down. …Before she runs out of time. 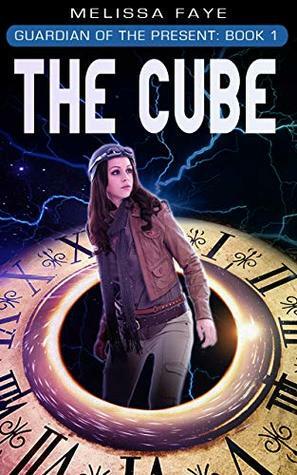 The Cube is Book 1 of Guardian of the Present, an eight book series of novellas that will appeal to fans of tough female leads, Buffy, Veronica Mars, and Looper. Next, I’ll read Mammoth by Jill Baguchinsky. The originality of the blurb immediately caught my attention – a girl at an Ice Age dig? Yessss! And the cover is perfect. Have high hopes for this one! You should, Terry – I’ve found several new books doing this (like I need to add any more to the TBR!). I’m the opposite – haven’t read Faye’s Clone Crisis, and need to finish the review for The Cube. 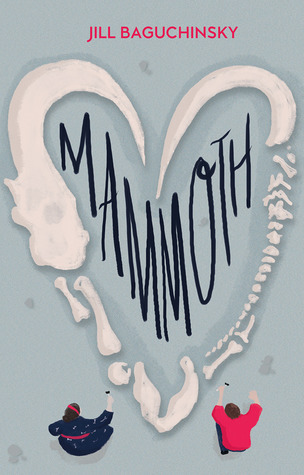 I like the sound of Mammoth. I’ll be looking forward to seeing your review. The description was so original and refreshing, Mae – starting it today. Thanks so much, Staci! As long as there’s chocolate and wine involved, it will be a good day. Yay! I love the sound of it – excited to get started. I’m curious about The Cube. Enjoy them all, and thanks for visiting my blog. 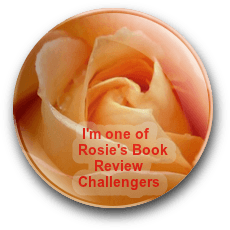 I like the idea of eight novellas – read the first one in less than an hour. Thanks for dropping by! I’ve heard of the Gilded Cage but didn’t realise the trilogy was already published, great to know. 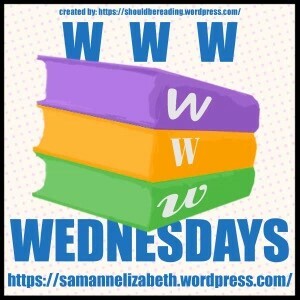 I just finished the last book yesterday, Suzanne – and if you’ve heard of a book hangover? Absolutely. Such a good series. Not being much of a romance fan, I’m hoping it’s not the primary focus of the story. And you’re right – sweaty, dirty, and smelly isn’t an encouraging start to a relationship, lol. Soooo good. Some of these characters have really surprised me. These both sound good, Teri, but The Cube sounds particularly interesting to me. I’m reading it through Rosie’s list – you should request it, Robbie. I’m about 80 pages in and love the protagonist! I like the sound of Mammoth! I’m nearly half-way through the book, and really enjoying it, Lola. Happy Birthday, Teri. There look like entertaining selections. I seem to be collecting Vic James books but never get around to reading them. I’m quite curious about The Cube too now. Like you I’m drawn to time travel stories. Did you enjoy? I did enjoy it, and need to finish writing the review today. Maybe I need to look into other things Vic James has written also. It was sooo good – such as satisfying ending. 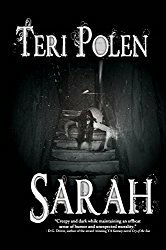 Just posted the review yesterday on Goodreads and NetGalley. I just finished it a couple of days ago, and it was such a fun, original read, Lindsay. You should check it out.